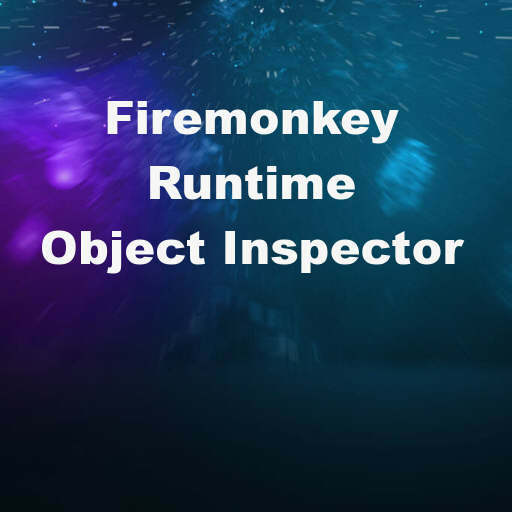 Developer Felix John Colibri created a runtime object property inspector tutorial for an older version of Delphi Firemonkey. I have upgraded the source code to support Delphi XE7 Firemonkey and compile on Android, IOS, OSX, and Windows. An object property inspector is used in an IDE to display the properties of an object. Basically the object property inspector has two columns which are name and value. The code fills a combo box of the components on a form at runtime. It then dynamically reads the property names and values of the selected component and shows the component properties in the object inspector. When you click on one of the property values it turns into a TEdit field where you can edit the property. It would need more enhancement to actually change or save the properties back to the object. The dynamic property objects are contained within a TVertScrollBox. The tutorial is in depth and explains each section of the code. The tutorial code also compiles in Appmethod. Head over and check out the full tutorial about creating an object property inspector with Delphi Firemonkey.